In the past when a family was looking for a church they would talk to their friends or maybe check the yellow pages for churches in their area. Then they might visit several of those churches until they find one they like. Over the last several years Internet search engines have made tremendous improvements in what is called local search, that is the search for businesses or organizations in a specific geographical area. Now if you search for something and include a city in the search phrase you’re likely to see results that include a map with some virtual push-pins in it. With one click you can get a phone number, driving directions, pictures, and even read reviews of the place of your choice. As a result, people have been ditching their yellow pages in droves and searching online for restaurants, retailers, and even churches. In fact, way back in 2008, a survey showed that for the first time more people were using search engines (31%) than a physical phone book (30%). However, the results revealed something bigger. When all the Internet sources were added up (search engines, local search, local review sites, social media), over 60% of all people started their search for information about a business or organization online. That was in 2008. Today a much greater percentage of people go online to find things. 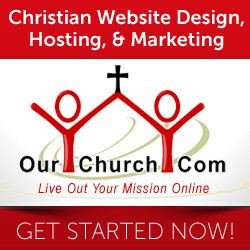 Today someone who is looking for a church – let’s call him Bill – will most likely start his search online. 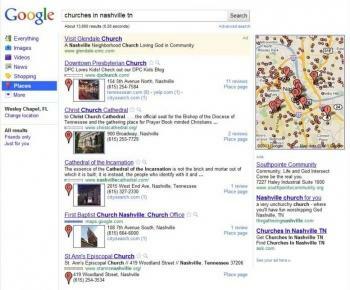 Bill uses a search engine like Google, Yahoo, or Bing, to find the listings of churches close to his home. He looks at their listings starting with first listing and reads the reviews he finds in the search listing. Then he visits many of those church’s websites. Based on what he reads, hears, and watches on those website’s Bill quickly rules out most of the churches without ever stepping foot in them. Then he picks 2 or 3 that seem to be most like the kind of church he’s looking for. He attends a Sunday service at those churches. Hopefully he likes at least one of them and gets involved in that fellowship.